Home / Archive by Category "Camera Collection"
I didn’t particularly want this Nikon body. I was more interested in the lens. But the price of the body plus lens was so attractive that I decided to go for it. The Nikon N6006 (also known as the F-601 outside of the US) was launched in 1990. 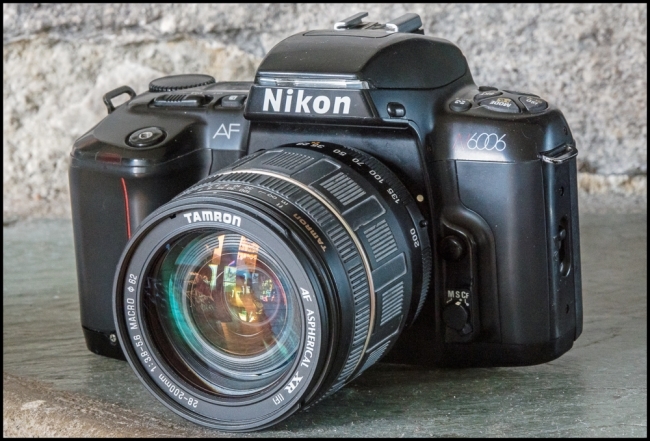 The Nikon F4 was at the pinnacle of the Nikon product line. Below it was the ‘prosumer’ Nikon N8008. Then came the N6006 aimed at advanced amateurs. Finally came the N4004 targeted at the beginner end of the market. The N4004 was the first, coming out in 1987, and started to take on the modern camera “look”: electronic film advance; thicker grip and the newly introduced command dial to allow multiple functions without dedicated dials. Then in 1988 came the Nikon N8008 with its four-button cluster on the left side and the command dial on the right. PASM shooting modes were introduced. This layout has not changed much since. Enter the Nikon N8008, in 1988, with the new “push-button” interface and the new “matrix“ metering, which measured five segments and then averaged them to give the correct exposure. In 1990 the N6006 was introduced featuring the same controls, and also including a built in flash, burst mode (2 frames/second rather than the N8008‘s 3.3), a slower shutter speed (1/2000 rather than the N8008‘s 1/8000). It was sold as a less sophisticated alternative to the N8008 but in fact had improved matrix metering and a predictive autofocus system that could track moving subects. It continued to be produced from 1990-1994. For more information see the appropriate section on the Malaysian Internet Resources site. 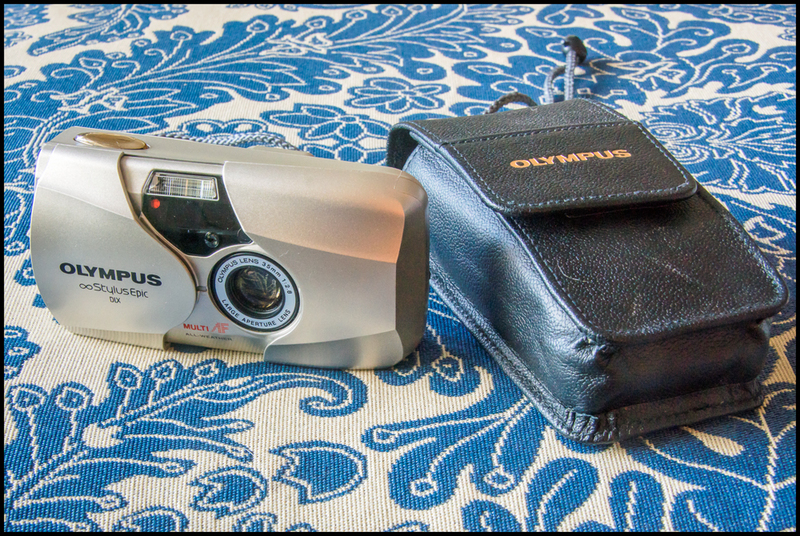 While I fairly frequently purchase old film cameras, I can’t remember ever buying an old digital camera. So why did I buy this one? Recently I’ve come across a few articles on the internet talking about how cameras have become too complicated – with resolution and functionality that we don’t really need, and that it might be worth taking a look at older cameras to see what they can do. For example: Digital classic: Robin reviews the original Canon 5D in 2018; Why do I still have warm, fuzzy feelings about the old Nikon D700? I guess it’s because the photos I shot with it eight years ago still stand up today. Can’t say that about some other cameras I’ve bought…. ; Is 4MP Enough In 2018? (Three Part Series – Part 1; Part 2; Part 3.) etc. So I decided to try to find an older digital camera to see what the experience would be like. The Nikon D700 (example one above) and the Canon 5D Mark I (example two above) were a bit more than I wanted to pay for what after all was pretty much a whim. The cameras in the three part series were all a bit too “low end” for me. A secondary factor was that my use of digital cameras has been so far limited to Canon compact digital cameras; Panasonic compact digital cameras; and most particularly Minolta/Sony DSLRs. Apart from briefly trying out my son-in-law’s camera I’ve never tried Nikon digital cameras. 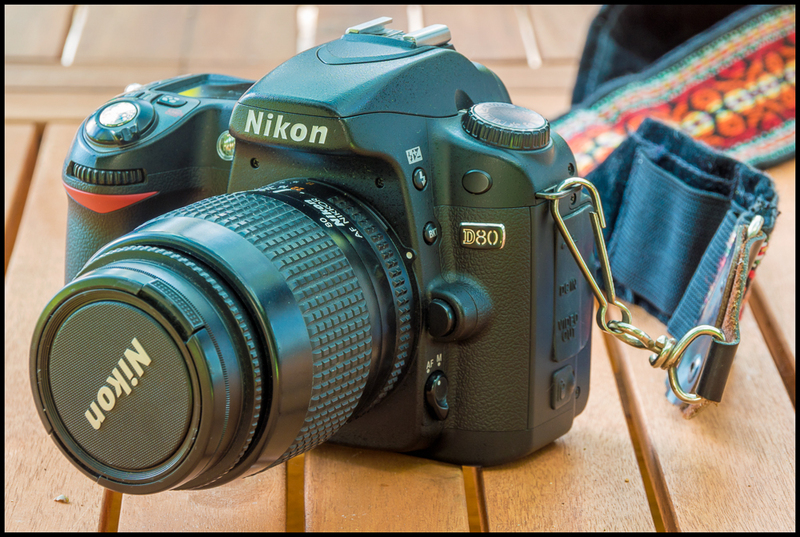 A Nikon DSLR so that I could get familiar with the Nikon digital experience – even if a rather dated one. A resolution appropriate for my normal use i.e. posting to this blog, social media sites, and occasional prints up to 8×10 inches. Outrageously inexpensive (I already had the 35-80mm lens, which I’d used on some of my film Nikons). It’s a Nikon D80, which co-incidentally is the same model as the one my son-in-law has. Seven automated Digital Vari-Programs (Auto, Portrait, Landscape, Close Up, Sports, Night Landscape and Night Portrait) optimize white balance, sharpening, tone, color, saturation and hue to match the scene. While I’ve taken a few pictures with it already I don’t think I’ve used it enough to be able to say much at the present time so I’ll save my thoughts for a future post. I wasn’t really interested in another Minolta body, but what caught my eye was what came with it: A Minolta AF 50mm F1.7 Lens; Minolta AF Zoom 28-80mm f3.5-5.6; Minolta AF Zoom 70-210mm f4.5-5.6 plus other assorted goodies – all for an extremely low price. I have an old A-mount camera (specifically a Konica Minolta Maxxum 5D). I’ve been thinking of giving it away to one of my grandkids (if any of them are willing to accept such old technology of course), but I didn’t want to sacrifice any of my Sony/Minolta lenses. These seemed to be a good solution. 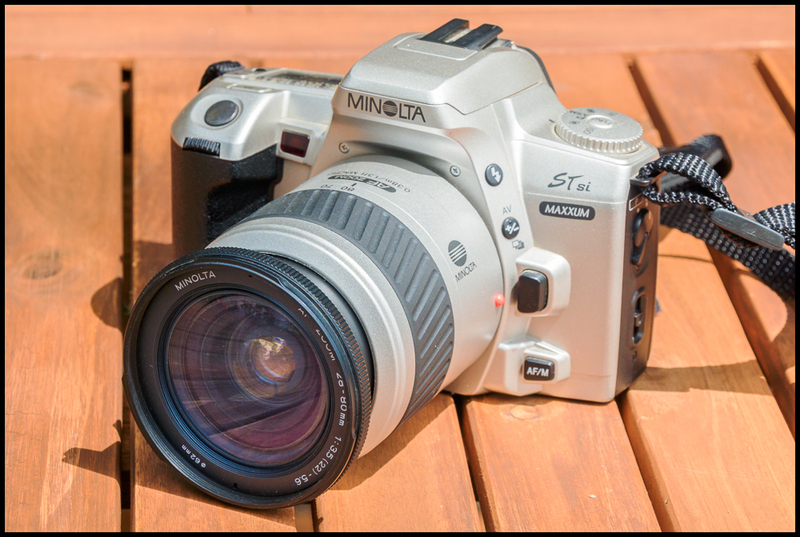 …an entry level autofocus 35mm film SLR camera using the Minolta AF mount, manufactured by Minolta and released in 1999. In the Americas it was known as Maxxum STsi and in Japan it was called α Sweet S (Alpha Sweet S). The electronic controlled shutter is vertical travelling with speeds from 20s to 1/2000 sec, plus bulb and a flash sync of 1/90 of a sec. The metering is a TTL based system using a 8 segment silicon photo cell. It has a sensitivity of 1 to 20 EV and in spot mode 4 to 20 EV (ISO 100, 50mm f/1,4. Metering is based on using DX encoded film, which can also be manually set from 6 to 6400 ISO in 1/3 inc. The exposure modes include, program, aperture priority, shutter priority, manual exposure along with settings for portrait, landscape, close-up, sport, night. The film transport has a motorized drive with film automatically advancing after exposure. Drive modes includes single frame, continuous for up to 1 fps, self-timer and multiple exposure. The built-in flash has a GN of 12. The camera is powered by two CR2 batteries. For a full list of specifications see here. As you’ll see from the specs it’s quite small and light, somewhat ‘plasticky’ feeling (as I suppose were most of the cameras from this era) but nonetheless with quite a solid feel. A dial on the top left of the camera allows you to select from various options: manual ISO selection; Flash options; Exposure modes – it has the usual array of exposure modes including Programme, Aperture priority, Shutter priority and Manual selected by using the ‘func’ button in the center of this dial in conjunction with the dial on the front right of the camera. Options for drive mode and wireless flash are also controlled from here. Scene modes are available including: portrait, landscape, macro, sport and night. There’s also an option for spot metering. If you get stuck and want to return to the programme mode just press the large button marked ‘P’. On the left near the lens barrel there are two buttons, one to pop up the flash and the other for exposure compensation. On the bottom left you find a switch to toggle between manual and autofocus. The fairly large and bright viewfinder displays the following information: Autofocus frame; LEDs for AE lock, aperture, shutter speed, flash ready. On the left side of the body there’s a dial to switch between regular and panorama mode. Mine has a date back, which I’ll never use. Although this might be an entry level camera there’s plenty of functionality to play with. 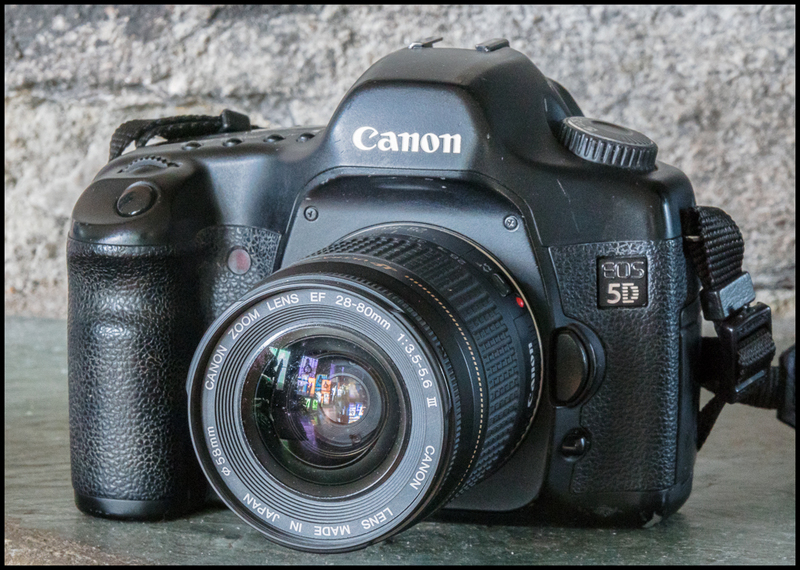 It’s much less spartan than the Canon EOS 888 I looked at last September (see September Film Camera – Canon EOS 888). Picture taken with a Sony A77II and Tamron A18 AF 18-250mm f3.5-6.3.